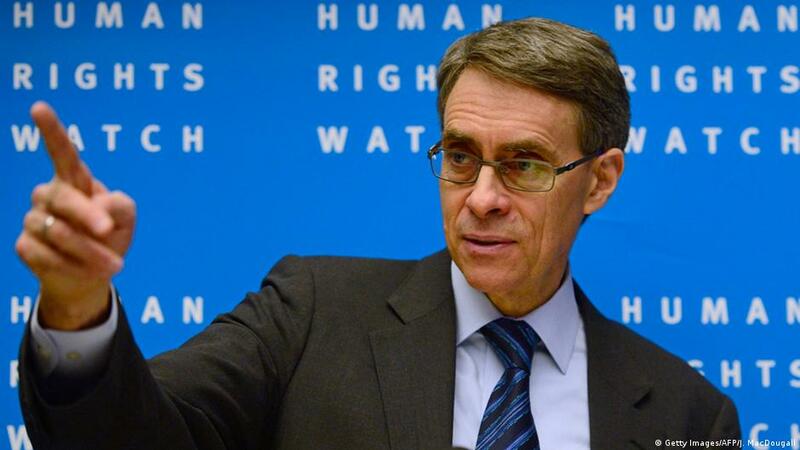 "I see a government that is afraid of its people," says Kenneth Roth, the executive director of Human Rights Watch, speaking about the Turkish president Recep Tayyip Erdoğan's government. "If it was a self-confident government, and if there were any validity to the so-called terrorist threat, the Turkish government would embrace the free-media," he said. "Most of the televisions were silenced, the newspapers are actually under the government's control, and the journalists are in jail," said Roth, "the way I see it, the Turkish government is doing its best to prevent information reaching the Turkish people." Answering Deutsche Welle Turkish's questions, Roth said that the European leaders had failed to address Turkey's increased censorship of the media, human rights organisations and political opposition diligently because of the refugee crisis. Roth also stated in the interview that the issues around the Turkish judiciary are not new. "During the time when Erdogan and Gulen were in partnership, many concessions were made in the judicial system to be able to bring the Turkish Military under the civilian control. The judicial system is being used not to protect the rule of law or holding the government accountable, but to get rid of those people who may threaten Erdogan's authority politically" said Roth. However, European governments prefer to stay silent about these blatant human rights violations, according to Roth. "Europe, unfortunately, prefers to remain neutral because of the refugee agreement," he said. "To prevent the arrival of more refugees, Europe is remaining very quiet in the face of this extraordinary pressure on democracy in Turkey." DW Türkçe'nin sorularını yanıtlayan İnsan Hakları İzleme Örgütü İcra Direktörü Kenneth Roth, Avrupalı liderlerin Türkiye'deki basın ve ifade özgürlüğüne gerekli önemi vermediği görüşünde.